The rich collection of the TextielMuseum and the craftsmanship of the TextielLab are powerfully combined in by TextielMuseum. 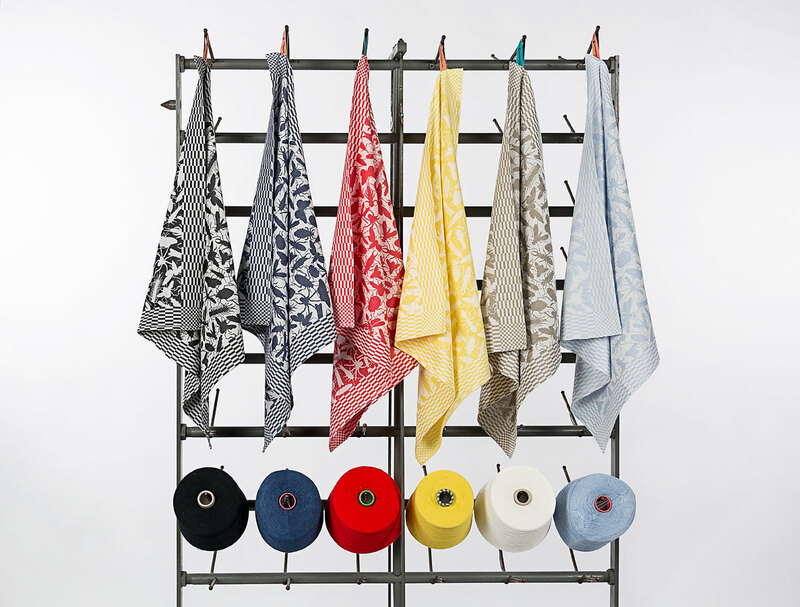 This new label presents an exclusive range of household textiles designed by top designers and produced at the TextielLab. by TextielMuseum features designs by Viktor&Rolf, Studio Job, Studio Bertjan Pot, Scholten & Baijings, Studio Makkink & Bey, Studio Van Eijk & Van der Lubbe, Studio Wieki Somers, Kiki van Eijk, Raw Color, Studio Formafantasma, Christien Meindertsma, Leendert Masselink, Mara Skujeniece, Pieke Bergmans, Studio Minale Maeda, Marc Mulders, Peter Struycken, Glithero, Kitty van der Mijll Dekker and Ineke Hans. The museum collection, encompassing more than a century of art and design heritage, is an important source of inspiration. In the TextielLab, modern techniques are used to translate the designer’s story into beautiful, distinctive products. The label marks the TextielMuseum’s first step in cultural entrepreneurship and an ambition to bring top design with a story into our homes. The proceeds from the label will be used to further improve the TextielMuseum’s educational and exhibition programme.